So, what's new? Everything! Mary Kay is simplified and more skin friendly with antioxidant-infused which can make your skin feels nourished and refreshed gets its start. And one more thing to mention is their key ingredients are all botanical which means even you have sensitive skin, you can try this skincare line with worry free. • Also called pitaya, dragon fruit contains fatty acids and several B-complex vitamins, including the often-called “anti-stress vitamin” B1 (thiamin), plus B2 (riboflavin) and B3 (niacin). 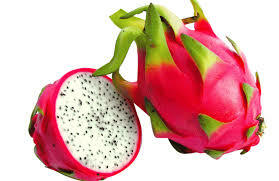 • Dragon fruit also is full of minerals like iron, calcium and phosphorous. • The dragon fruit extract included in Botanical Effects® Skin Care is rich in antioxidants to help fight skin-damaging free radicals. • One of the most nutritious plants in the world, aloe gel contains more than 75 nutrients, including 20 minerals and 12 vitamins. • Aloe vera is shown to help maintain the skin’s moisture barrier and has high vitamin E content, a popular antioxidant in skin care. 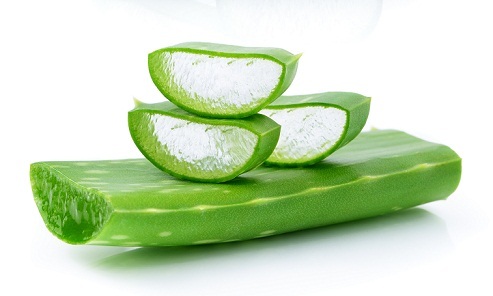 • Aloe also is shown to promote healthy skin and cell turnover. • The aloe extract in Botanical Effects® Skin Care gives your skin an added boost of antioxidants. Mary Kay Botanical Effects Gel Cleanser is a gel type of cleanser. Other than key ingredients which are antioxidant-packed dragon fruit & aloe vera, coconuts and apples are also add in helps to cleanse skin deeply and effectively while also dissolving all traces of oil. This cleanser is super gentle to the skin and the foaming is lesser comparing with the typical foam cleanser. If you're having dry or sensitive skin, this gel cleanser would be more suited for you. Add the scrub morning to your routine twice or three times a week. Mary Kay Botanical Effects Exfoliating Scrub can help to remove dead skin cells especially if you love to make up or working out, then you have tons of dead skin cell on your skin surface which can block your expensive skincare penetrate into your epidermis layer. By exfoliating, it can help to remove dead and dull skin while also leaving your pores feeling deeply cleaned. This scrub gives a gentle and mild exfoliating as the beads are not harsh, leaving my skin feeling super smooth and makeup last longer after each usage. Mary Kay Botanical Effects Toner is my favorite as prep routine before makeup. This toner has a good hydrating effect without feeling greasy on the skin. The best part is also can help to tighten the pores, control shine, leaving skin looking healthy and feeling refreshed every after usage. This is by far the most watery & lightweight moisturizer I'd ever tried! This Mary Kay Botanical Effects Moisturizer is an oil-free formula moisturizer. The quick-absorbing gel provides optimal moisturization to skin, leaving a looking healthy skin. The consistency is very similar with serum texture, very quick absorbing and feeling refreshed skin; giving a feeling of not wearing anything. Definitely, recommend to people who hates the feeling of wearing skincare and combination to oily skin type. To make it simple, this Mary Kay Botanical Effects Moisturizer SPF 30 is the combination of moisturizer and sunscreen. With essential SPF included, it saves the time better with no need to worry about putting on sunscreen separately from your moisturizer. The texture is watery gel texture makes it absorbing very quickly without leaving any leftover residue. It can provide 12 hours of moisturization without feeling greasy on the skin. are looking for a new starter brand of skin care.